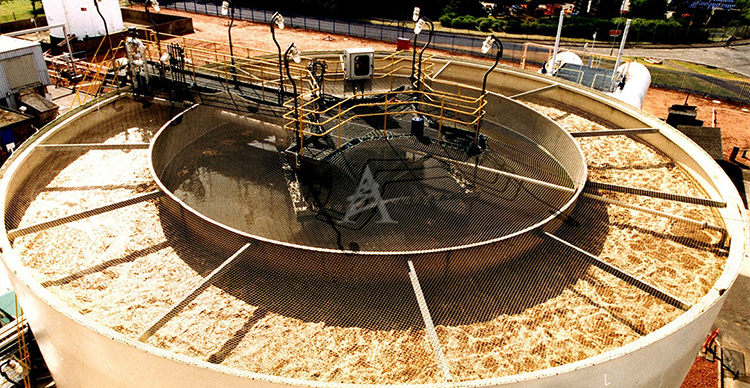 The AIS is a path‐breaking integration of aeration tank, clarifier and sludge recycling system into a single, compact unit without any moving parts. The System provides BOD removal efficiencies equal to or better than most configurations of activated sludge processes (such as SBRs and MBBRs) and fares better in terms of lower outlet TSS levels from the clarifier and higher operating biomass (MLVSS) concentrations in the aeration tank. The AIS incorporates patented concepts of induced sludge velocity for recycling the biomass, operated in conjunction with biomass condition in system. Global petrochemicals, refining and steel majors have successfully adopted this technology, while India has more than 40 installations with small individual plant to very large common effluent treatment plant (CETP).